Most customers were getting their power back over night with only a few remaining pockets as Tuesday began. 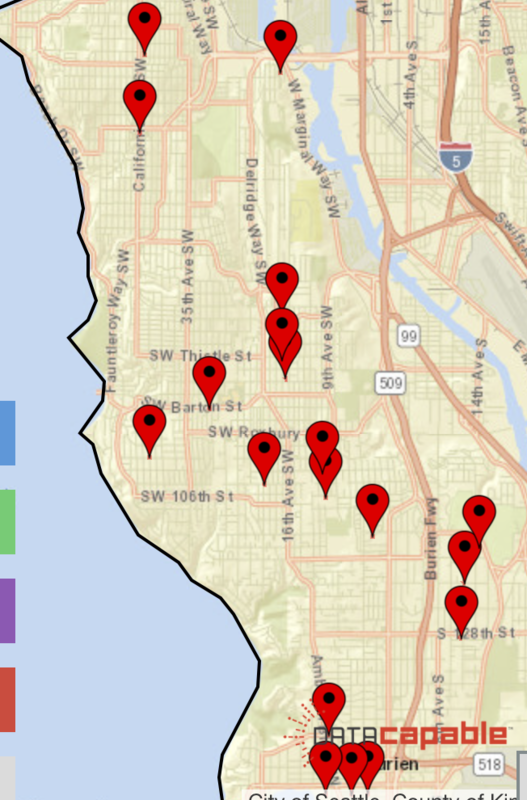 Most of the snow related power outages are now resolved with only a few pockets of outages remaining in West Seattle and Burien. Crews worked through the night to repair downed power lines caused by rain weighted snow, knocking down trees. The remaining outages were expected to be resolved before 12 noon today. Power outages spread across the west side of the area as rain weighed down already snow laden branches and power lines were affected. An additional 3900 City Light Customers were affected in Burien and point east as of 6:40pm. City Light crews were dispatched to investigate but no time of potential restoration was announced. 960 customers of City Light lost power on Monday night as weather forecasters said rain was coming after heavy snowfall weighed down tree branches and make travel difficult and dangerous. The outage was concentrated near Highland Park from 17th SW and between Trenton Street SW and SW Thistle over to 8th SW. Spotty outages were farther south and east. Another outage was along SW Austin Street up past SW Orchard Street over to 5th Pl SW.